The Liberal Democratic Party of Japan, frequently abbreviated to LDP or Jimintō (自民党), is a conservative political party in Japan. Sugimura was born in Asahikawa, Hokkaidō. He attended the University of Tsukuba but dropped out in 2004. The University of Tsukuba, located in Tsukuba, Ibaraki, is one of the oldest national universities and one of the most comprehensive research universities in Japan. The university has 28 college clusters and schools with around 16,500 students. The main Tsukuba campus covers an area of 258 hectares, making it the second largest single campus in Japan. The branch campus is in Bunkyo-ku, Tokyo, which offers graduate programs for working adults in the capital and manages K-12 schools in Tokyo that are attached to the university. Sugimura became the youngest member of the House of Representatives after the September 11, 2005 general election. He was not expected to win a seat, as he had been placed in 35th position on the LDP's proportional representation ticket for the Minami-Kanto bloc. 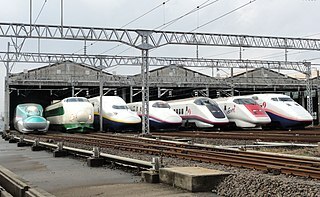 The Shinkansen, meaning new trunkline, but colloquially known in English as the bullet train, is a network of high-speed railway lines in Japan. Initially, it was built to connect distant Japanese regions with Tokyo, the capital, in order to aid economic growth and development. Beyond long-distance travel, some sections around the largest metropolitan areas are used as a commuter rail network. 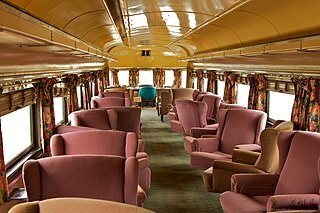 It is operated by five Japan Railways Group companies. Sugimura is a character in a satirical mahjong manga Mudazumo Naki Kaikaku . Mudazumo Naki Kaikaku is a satirical mahjong manga by Hideki Ohwada. It was initially irregularly serialized in the Kindai Mahjong Original manga magazine published by Takeshobo, then switched to bimonthly serialization on Takeshobo's other mahjong manga magazine Kindai Mahjong in April 2009. An anime adaptation was released on February 26, 2010 as an original video anime. The premise of the manga is that international diplomacy is settled on the mahjong table, with real-life politicians depicted as masters of mahjong. The Japanese title is a parody of Junichiro Koizumi's slogan, "Reform with No Sanctuary". Sugimura announced his engagement with Aya Kazama(風間文) on March 14, 2006 and their daughter was born on April 4, 2007. The politics of Japan are conducted in a framework of a multi-party bicameral parliamentary representative democratic constitutional monarchy whereby the Emperor is the ceremonial head of state and the Prime Minister is the head of government and the head of the Cabinet, which directs the executive branch. Junichiro Koizumi is a Japanese politician, who was the 56th Prime Minister of Japan from 2001 to 2006. He retired from politics when his term in parliament ended in 2009, and is the sixth longest serving PM in Japanese history. Ichirō Ozawa is a Japanese politician and has been a member of the House of Representatives since 1969, representing the Iwate 3rd district. He is often dubbed the "Shadow Shōgun" due to his back-room influence. Yōhei Kōno is a Japanese politician and a former President of the Liberal Democratic Party. He served as Speaker of the House of Representatives from November 2003 until August 2009, when the LDP lost its majority in the 2009 election. Kōno served as speaker for the longest length since the set up of House of Representatives in 1890. He was the president of the Japan Association of Athletics Federations from 1999 to 2013. Tarō Asō is a Japanese politician who is the Deputy Prime Minister and Minister of Finance. Asō was the 59th Prime Minister of Japan, serving from September 2008 to September 2009. He was also a member of the Japanese shooting team at the 1976 Montreal Olympics. A general election in Japan was held on 11 September 2005 for all 480 seats of the House of Representatives of Japan, the lower house of the Diet of Japan, almost two years before the end of the term taken from the last election in 2003. Prime Minister Junichiro Koizumi called the election after bills to privatize Japan Post were voted down in the upper house, despite strong opposition within his own Liberal Democratic Party (Japan) (LDP). The People's New Party was a Japanese political party formed on August 17, 2005 in the aftermath of the defeat of Prime Minister Junichiro Koizumi's Japan Post privatisation bills which led to a snap election. On March 21, 2013 party leader Shozaburo Jimi announced that he was disbanding the party. The New Party Nippon is a Japanese political party formed on August 21, 2005. The party is headed by the former Nagano governor Yasuo Tanaka, and includes Diet members Kōki Kobayashi, Takashi Aoyama, Makoto Taki, and Hiroyuki Arai, who left the Liberal Democratic Party in opposition to Prime Minister Junichiro Koizumi’s postal privatization drive. This article presents detail of the results in the Japan general election, 2005, breaking down results by block district. The 11 block districts elected 180 members by proportional representation, and 300 members were elected from single-member districts distributed among the 47 prefectures. General elections were held in Japan on July 18, 1993 to elect the House of Representatives. The Liberal Democratic Party (LDP), in power since 1955, lost their majority in parliament. An eight-party coalition government was formed and headed by Morihiro Hosokawa, the leader of the Japan New Party (JNP). Hiroyuki Sonoda was a Japanese politician serving in the Diet as a member of the House of Representatives for Kumamoto 4th district; following the 2017 general election when Kumamoto lost one seat due to reapportionment, he moved to the Kyūshū proportional representation block. He was a member of the Liberal Democratic Party (LDP), previous party affiliations have been independent→LDP→New Party Sakigake→Independent→LDP→Sunrise Party of Japan→Sunrise Party→Japan Restoration Party→Party for Future Generations→Sunrise Party→Party for Future Generations→LDP. Masashi Nakano is a Japanese politician and former Secretary-General of the Party for Japanese Kokoro. A native of Shiogama, Miyagi and graduate of Tohoku Gakuin University, he was first elected to the assembly of Miyagi Prefecture in 1983. During his second term as an assemblyman, he contested the national House of Councillors election in 1989 as an independent but was defeated. He was elected to the House of Representatives in the national Diet as a member of the Liberal Democratic Party in the 1996 general election, representing Miyagi District No.2. In the 2000 general election he was defeated in his district by Sayuri Kamata. In the 2003 general election he was again defeated by Kamata in Miyagi No.2, but was elected to return to the House of Representatives as a member for the Tōhoku proportional block. He retained his seat in the 2005 general election and was appointed Senior Vice-Minister of Economy, Trade and Industry in Shinzo Abe's first ministry in 2007. He contested his seat in the 2009 general election as a Liberal Democratic Party candidate and with an endorsement from the Komeito Party, but lost his seat as the LDP lost a general election for the first time since the party was formed in 1955. Taizo Mikazuki is a Japanese politician and the current governor of Shiga Prefecture, having been elected to the position in July 2014. He previously served in the House of Representatives in the Diet as a member of the Democratic Party of Japan. Tarō Kōno is a Japanese politician belonging to the Liberal Democratic Party. He is a member of the House of Representatives, and has served as Minister for Foreign Affairs since a Cabinet re-shuffle by Prime Minister Shinzo Abe on 3 August 2017. A general election for the Japanese House of Representatives was held on August 30, 2009. The opposition Democratic Party (DPJ) defeated the ruling coalition in a sweeping victory, winning 221 of the 300 electoral districts and receiving 42.4% of the proportional block votes for another 87 seats, a total of 308 seats to only 119 for the LDP. Tsuneo Horiuchi is a former professional baseball player in Japan's Nippon Professional Baseball, and a politician. A right-handed pitcher, in 2008 he was voted into the Japanese Baseball Hall of Fame. The 22nd Elections to the House of Councillors for the upper house of the legislature of Japan were held on July 11, 2010. In the last election in 2007, the Liberal Democratic Party (LDP) lost its majority to the Democratic Party (DPJ), which managed to gain the largest margin since its formation in 1996. The House of Councillors is elected by halves to six-year terms. The seats up for election in 2010 were last contested in the 2004 election. Koizumi Children is a popular Japanese political term for the 83 LDP members of the House of Representatives first elected in the 2005 general election. The Koizumi Children are loosely organized into a political association called the 83 Group. Toranosuke Katayama is a Japanese politician who held different cabinet posts. He is a former member of the Liberal Democratic Party of Japan and currently one of leaders of Nippon Ishin no Kai. The 24th regular election of members of the House of Councillors was held on Sunday 10 July 2016 to elect 121 of the 242 members of the House of Councillors, the upper house of the 717-member bicameral National Diet of Japan, for a term of six years. As a result of the election, the LDP/Komeito coalition gained ten seats for a total of 146, the largest coalition achieved since the size of the house was set at 242 seats. 1 2 3 "Youngest parliament members around the world". ↑ Michaels, Adrian (May 25, 2009). "MPs' expenses: and you thought British MPs were bad…". The Daily Telegraph . London. ↑ "Off the Record". Daily Record . Scotland. 2005. This article about a Japanese politician born in the 1970s is a stub. You can help Wikipedia by expanding it.